Sunny Sanoff. Congratulations Sunny! Enjoy your Radiant Orchid Travel Mug. In each of my monthly newsletters I offer a giveaway that is announced ONLY TO MY WONDERFUL NEWSLETTER SUBSCRIBERS. The giveaway is not be posted anywhere else. In order to be eligible to enter you need to be a current subscriber. 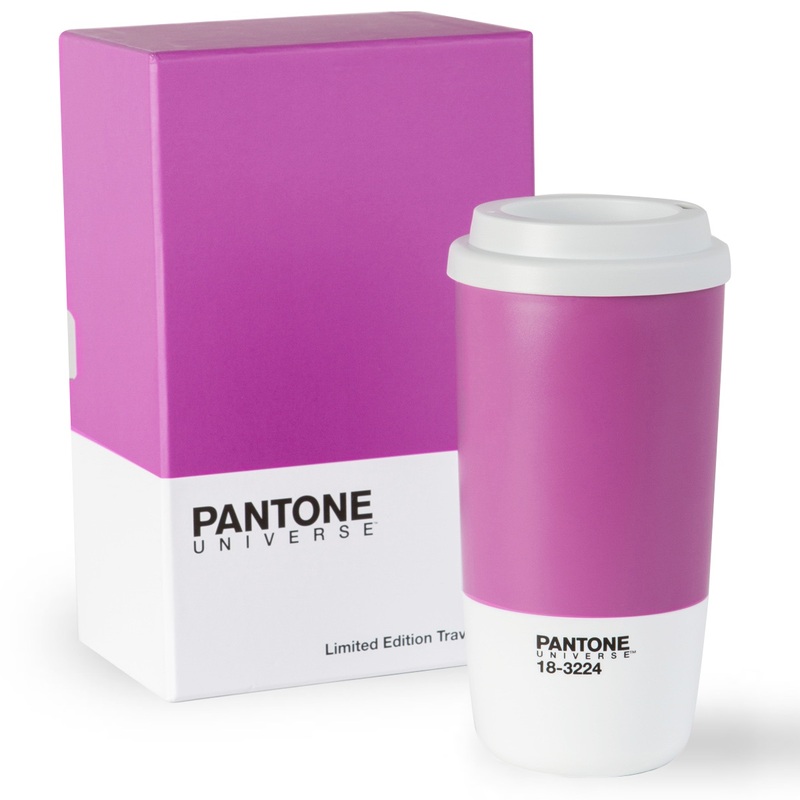 This month’s giveaway was a Pantone Travel Mug in Radiant Orchid. Who wouldn’t like to have one of these colorful containers to hold their favorite beverage? NOTE: All winners are chosen using the third-party paid service of random.org. You can verify the drawing at https://www.random.org/draws/details/?draw=25494 All entrants can confirm their entry in this month’s giveaway using the email address where they receive the Sensational Color newsletter. Thank YOU for being a subscriber and taking the time to leave a comment on my website. It was my pleasure to send you this colorful Pantone mug. ENJOY!